It's not rocket science by a long shot. But recently when I realized I'd forgotten to sew in one of my preprinted quilt labels again, I knew I needed an alternative method. 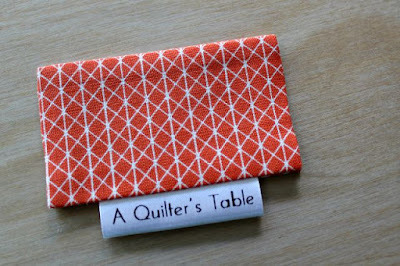 Now this isn't for those show quilts or to-be-gifted quilts. 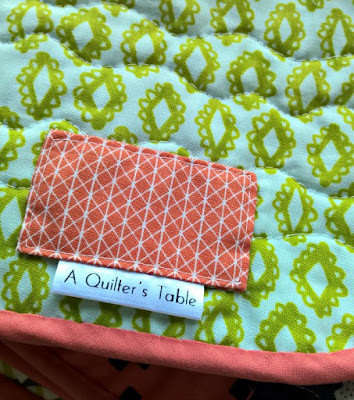 This is for the everyday quilt you just want your name on. Easy peasy, but I figured if I thought it was fun, some of you might too. Now here's the disclaimer, the labels I have aren't available to new customers any more, which is a real shame, but maybe you have some other labels that will work equally well. Cut a couple of matching rectangles out of coordinating scraps. 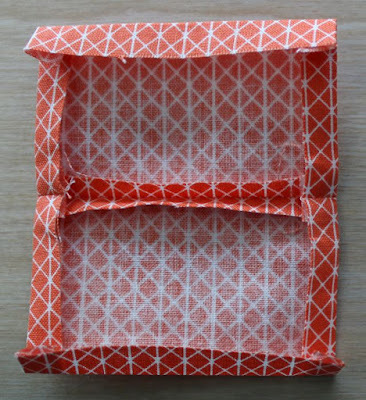 Mine happen to be 2.5" x 3.5". 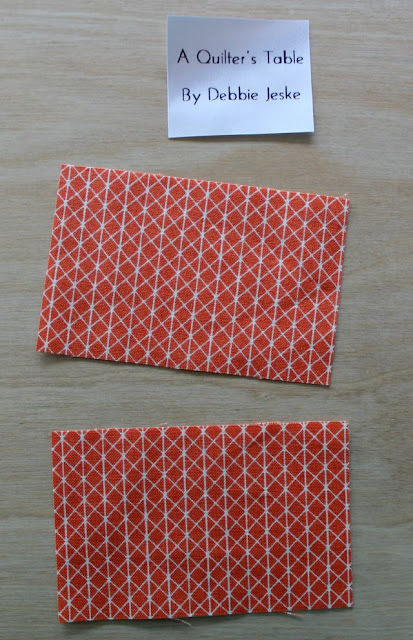 Plus you'll need one of your preprinted labels. I'll show you what I did, and you can adapt as needed. 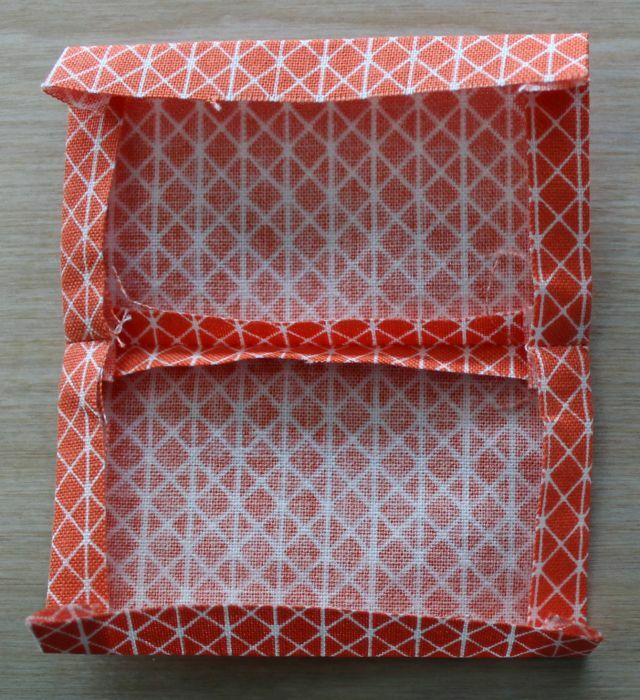 Seam the 2 scraps - obviously you could use 1 larger scrap and fold it in half. Turn in 1/4" on all edges. Dab some fabric glue on those edges. 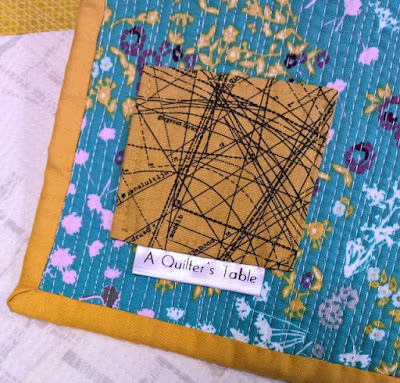 Machine stitch all the way around your 'tab,' then hand-sew to the back of your quilt. And that's it! I told you it wasn't rocket science! But I think it fits the bill, right? what a fun idea, Debbie. I keep forgetting adding my labels all. the. time!!! 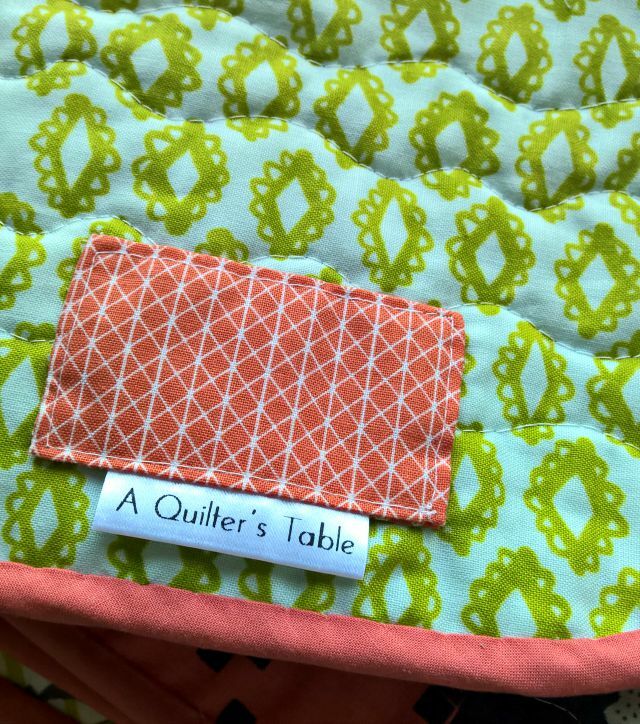 Thanks for sharing this great way of adding the label to finished quilt. This looks great! 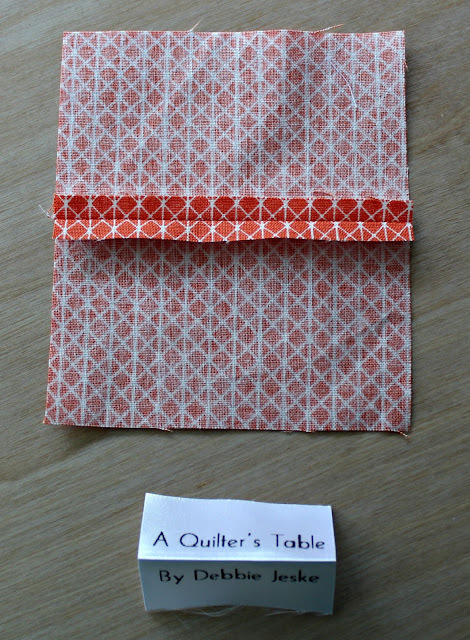 Perfect solution to a belated label addition :) I love your backing fabric, too! cute. I need to look for some new labels. My original ones were a little thin for my liking but I was determined to use them up before I search out some better ones. they're almost gone. Adorable tab alternative. I'm the worst when it comes to labeling - in the old days I would make a big deal of them with photo transfer and sentimental messages. I've sent them off to friends/relatives thinking that I will add the label later and then never do. I love the tab concept here, not rocket science but I am inspired! Looks pretty too! I often slip mine in when I am hand stitching the binding down. Good idea, Debbie. 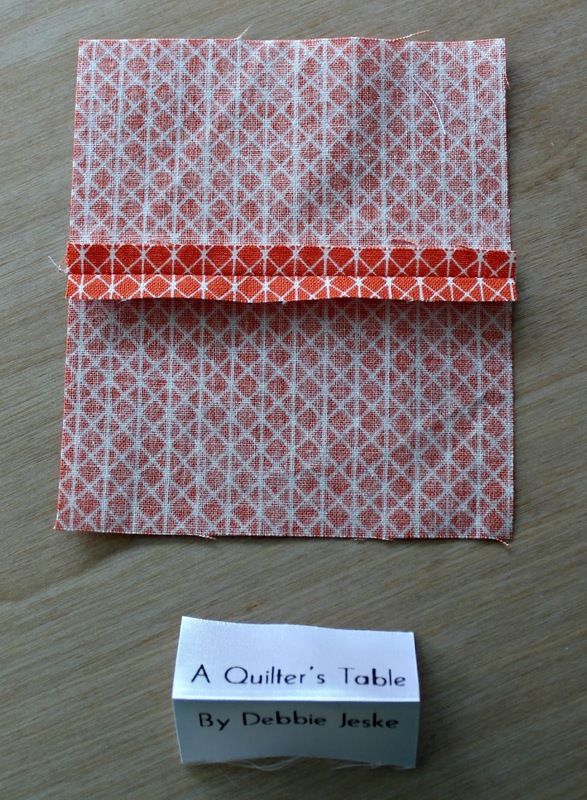 I find I most often make my own labels (using Printed Treasures). Then, I never remember to sew in my custom name label! Clever idea, Debbie and it looks fantastic. Totally have to try this - thanks for the tutorial. Clever idea Debbie. Where did you get your labels?